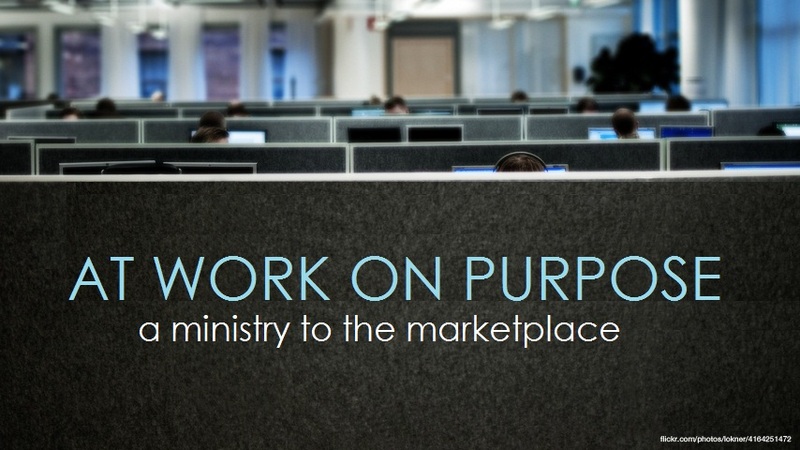 For many Christians in the marketplace it’s easy to see our work as different from ministry, but after looking at scripture we quickly realize that a faithful worker is a faithful minister. In the above passage of Scripture we see that God filled a man – Bezalel (how would you like that name?) – with His Spirit to do the work of his day. And the Spirit of God in him was manifested through his work. When he was hammering large sheets of gold, cutting fine stones, or carving pieces of wood he was exercising the Spirit of God through his work. 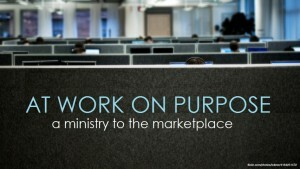 We never hear anything about what he said to anyone while working either, he was simply faithful to work with excellence, as the Spirit of God compelled him. So was he a minister or not? Today we would probably say that he wasn’t – much like a Contractor isn’t considered a minister of God. This just isn’t the case! What defines a minister is the Spirit that fills him. This man was filled with the Spirit of God for the specific task of building things, and as he was doing it God received the glory. You bet Bezalel – and Christian workers today – are ministers of God! The question isn’t, “Are you a minister?” The question is, “Are you being a faithful minister where God has placed you?” Because if you’re filled with the Spirit of God, and He has given you wisdom in all-things plumbing – or building, teaching, or being a mom, etc. – then you just need to exercise that gift to bring God glory and build His church! It doesn’t matter WHAT you do for work, but WHY you do it. That defines a minister of God.